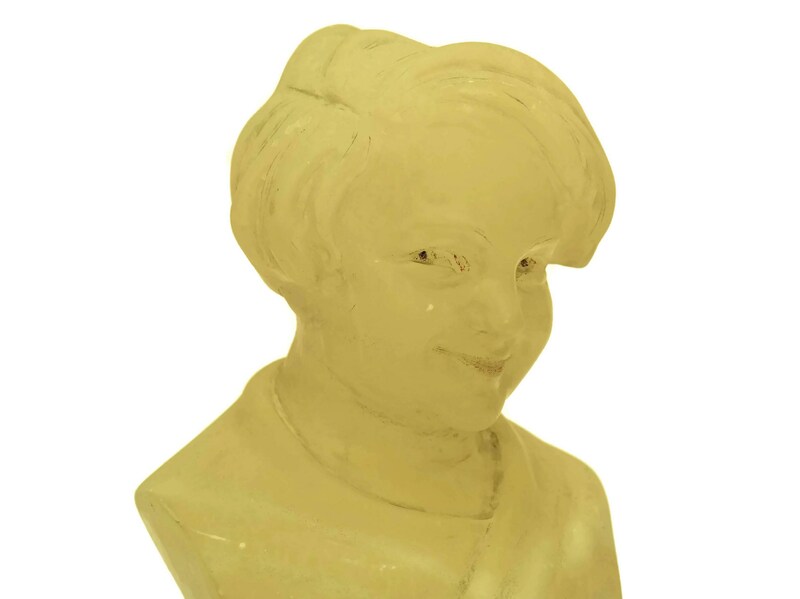 Art Deco Translucent Alabaster Child Head Bust. 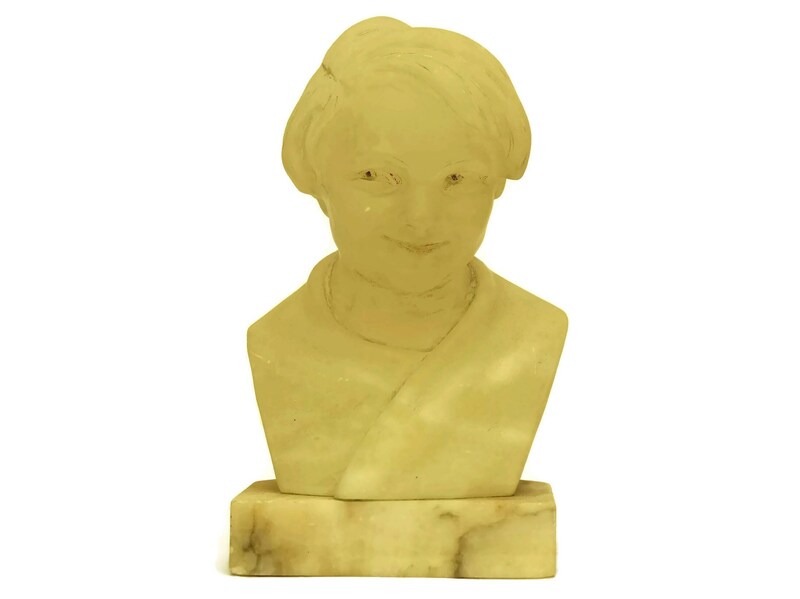 Child Portrait Sculpture on Marble Base. 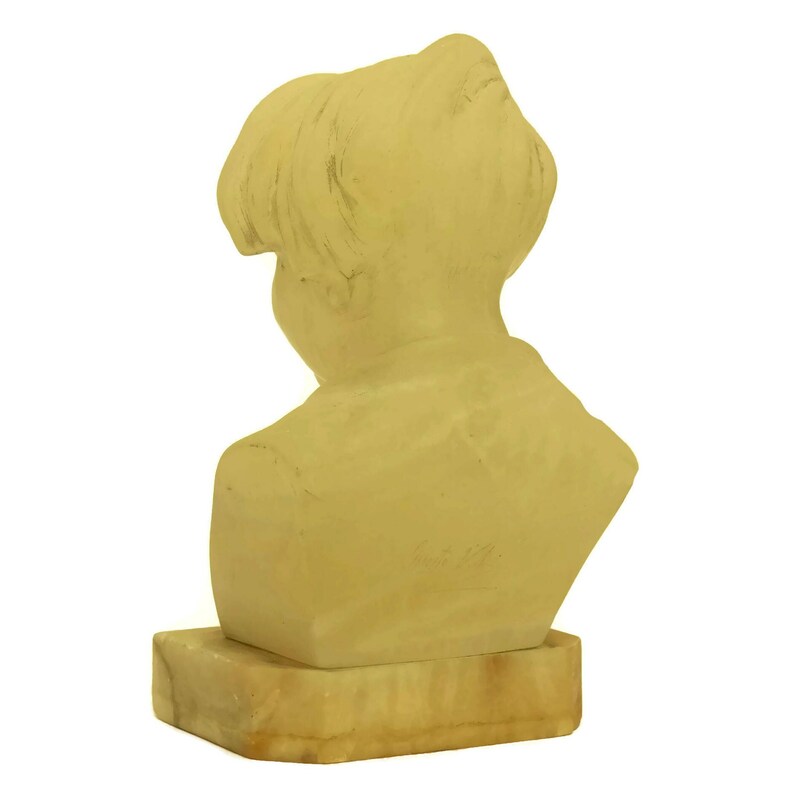 A charming Italian sculpted bust featuring the portrait of a young child. 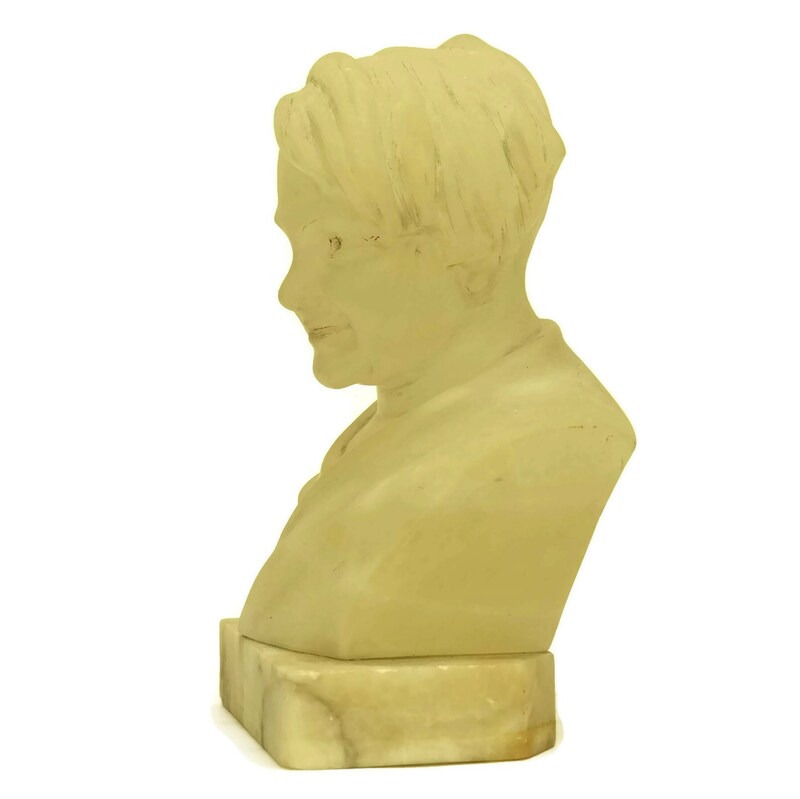 The piece has been hand carved during the Art Deco era from a block of translucent alabaster and mounted on a polished marble base. It features beautiful details and it looks like it has been originally colored shaded in places. The bust has been signed at the back by the artist (Gunto ?). 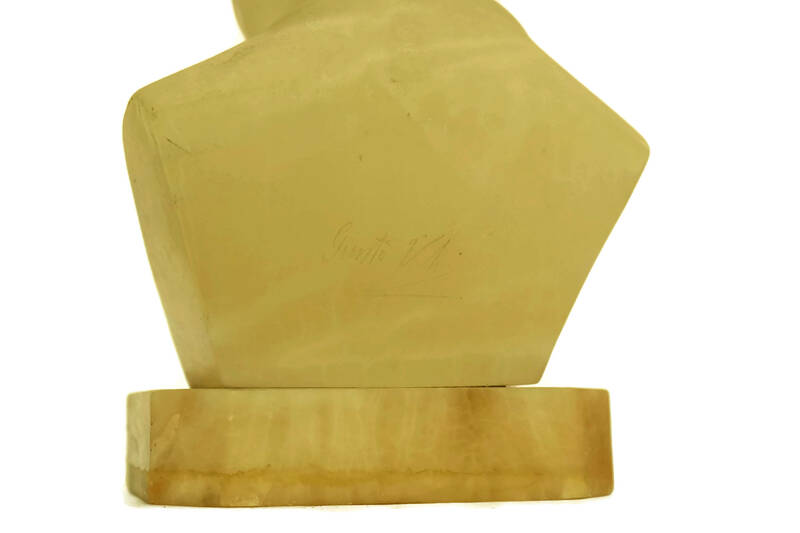 The underside of the pedestal base has been engraved "made in Italy"
9" Tall x 5" Wide x 41/2" Deep (23cm x 12,5cm x 11,5cm). The bust is in very good condition with patina and light surface marks. There are small flakes to the marble base. Please note that the sculpture is clearer and more transparent than shown on the photographs.